This is the concluding part of series of posts about Brad Ferrell’s PMP Exam Experience. In this post he talks about his experience inside the Prometric center on day of the certification exam and has shared tips for PMP exam day. He got his results on the same day and successfully passed the PMP exam. Previous Post – What To Expect At The PMP Testing Center? When pressing the start button, the timer initiated, and I was focused and dialed in. The first ten questions covered mostly project management framework and integration management, nothing too strenuous or any brain teasers. I was able to read the questions clearly and completely with ease so far, which even though seemed small, was a key win for me. Now the key was to sustain this for the four hour duration. Even though I’d answered the initial questions unscathed, I did mark some questions for review just to play it safe. I stayed the course and marked questions for review as needed and made sure I stayed roughly within the minute fifteen second window for each question. Of course you can’t receive your scoring during the exam, but my bullish projection had me scoring at least 70% of the questions correct. Pretty good, but still had a long ways to go. Most of the earned value analysis questions were very straight forward, simple algebra that you learned in grade school. There were a few critical path questions, nothing too complicated, although there was more wording than needed. It seemed much of the exam was focused on Monitoring & Controlling. Make sure you’re comfortable with the processes that occur before and after a change request is approved. This applies within knowledge areas such of procurement management, scope management, and human resources management. Don’t say I didn’t warn you. There were many ITTO questions even though the level of difficulty was low to medium, meaning for each of these questions, there were two or three answers you could presumably eliminate. Every 20-30 questions, I would take a step back and breathe in and out slowly to clear my head. At the 100 question mark, I needed a brief change of scenery to grab some water. Since the testing center is designed like Fort Knox, I had to sign out, sign back in, and show ID to leave the testing room. So now that I am half way done, it was time to buckle up and keep my foot on the gas pedal metaphorically speaking. I was thinking with all the hard work and sacrifices made over the last several months, do I really want to come back to the testing center to retake the PMP? Of course not!!!! Time to put my effort in overdrive. The second half of the exam, I continued to work through the exam similar to a runner who was grinding out a marathon. Questions were marked which I was unsure of, mostly around the Monitoring and Controlling processes. At this point, I got the impression about 85% of the exam came straight from the PMBOK. The other 15% were more common sense questions which came from tribal knowledge. Luckily, I didn’t run across many questions outside the PMBOK like constrained optimization or Journey to Abilene theory. As it’s natural for fatigue to set in at some point, the last third of the exam it was taking me longer to answer the questions. Not that the questions were necessarily tougher, but my mental stamina was starting to wear thin. For what I was hoping to have 40 minutes or so to review my marked questions, I would probably only have 25 minutes to spare. However, this was better than not having any time at all for review. I had probably marked 50 questions for review once it was all said and done. I was at least relieved the entire exam had been answered, which was a moral victory in itself. Most of my questions were marked during the first third portion of the exam, not sure why, maybe lower confidence or fear of the unknown. Since I only had 20 or so minutes to re-check 50 questions, time was not on my side. It turned out that I got to only review about 25 of these questions, maybe 8 of these I had changed my answer. With only 10 seconds left, I went ahead and submitted my exam. The four exam time had completed. Right when I submitted the exam for evaluation, many thoughts were racing through my head. First off, I was proud of myself for giving my best effort in completing this challenging exam. Many people could have given up after the boot camp, while reading the PMBOK, or taking practice exams, but I stayed the course and showed perseverance during my studies. I compare it to the football coach who practices his team to death during the week, where the games on Saturday or Sunday are a cake walk. Not that the final exam was a cake walk, but it could have been more challenging honestly. Many examinees will say this is the most stressful exam they have even taken and they’re correct to a certain degree. Congratulations! 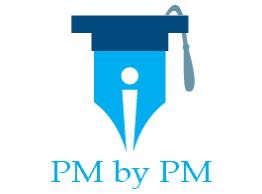 You have successfully passed the PMP exam! Not sure if those were the exact words, but seeing “Congratulations” was all I needed to know. A huge, relieved smile was shown on my flushed cheeks as if I had just completed a 20 hour heart transplant operation. In reality I knew the PMP certification was not going to turn a mediocre project manager into an exceptional one over night, but this was still a huge milestone for my career. The most immediate benefit would be the time given back to me to focus back on my family and career. Even weeks later, I still smile at my framed PMP certificate that is hanging in my cubicle. Are you also looking forward to the final PMP exam day? What other tips have you received? How nervous or confident are you feeling?